Gathering in your dining room to eat with friends and family should be a great experience. With mission dining room furniture, you can enjoy dining in style. 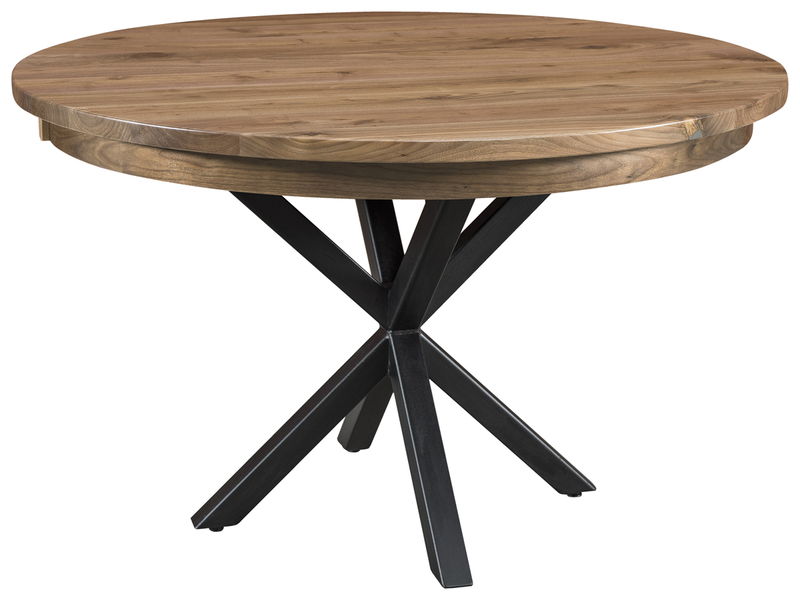 A gorgeous mission dining table will serve as the centerpiece in your dining room. Add matching chairs, benches, cabinets or hutches to complement your table and complete your dining room’s look. Mission furniture is popular in homes today and dates back to the 19th century. Its durability makes it perfect to pass down from generation to generation. 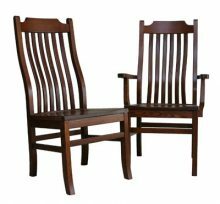 Flat slats, straight lines and stable legs are a few of the most notable features of mission style furniture. Because of the natural wood appearance of mission furniture, you can easily customize your décor to complement your furniture and room. Add a tablecloth, flowers or a beautiful centerpiece for a completed look. Our mission dining room furniture comes in a variety of sizes and colors. 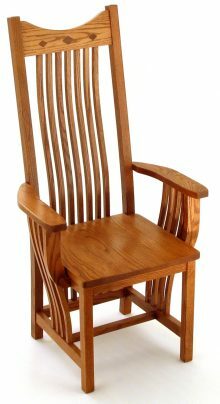 Choose from our quality wood types like oak, cherry, maple and hickory. Customize your furniture finish more with our selection of light and dark stain colors. 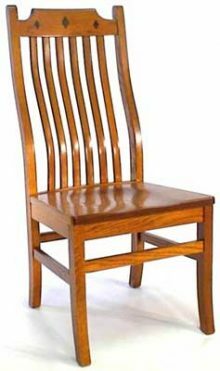 If you are looking for a new piece of dining room furniture to complement your existing furniture or want to redesign your entire dining room, we have a solution for you. 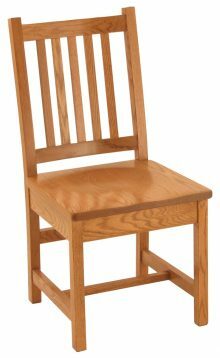 We offer mission dining room sets, as well as individual pieces you can purchase. Our mission dining tables come in a variety of types, including double pedestal, leg, pub, single base and trestle. With so many styles and sizes, you can find the right table for your home. Many of our tables feature drop leaves and drawers for special occasions when you need a larger table. 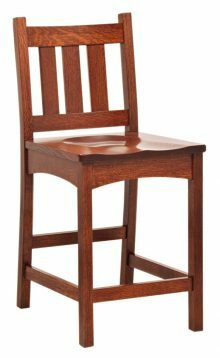 Complete the look of your mission dining room table with our mission dining chairs, which are durable, comfortable and customizable to match your table. For a unique touch, add a mission hutch to your dining room to display your fine china or store your collectibles. Our hutches come in double, triple and four-door models with a combination of cabinets, drawers, open shelves, mirrors and glass doors. If you need additional storage space, a mission dining cabinet may be the perfect solution. These cabinets are ideal for storing silverware, china or other dining necessities. 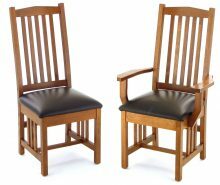 No matter what type of dining room furniture you need, we have a range of mission furniture pieces for you to choose from to create the dining room of your dreams. Create a unique look for your dining room your whole family will love with mission dining room furniture. 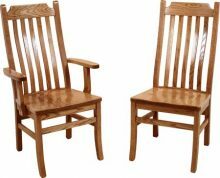 At AmishOutletStore.com, we have a large variety of furniture that’s sure to meet your family’s dining needs and aesthetic preferences. 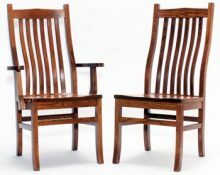 Each piece of furniture is handcrafted by skilled Amish crafters who use proven construction techniques and quality wood, ensuring our furniture will last for years to come. Purchase furniture from our dining room collection and save up to 33% off the regular retail price. Add a stunning new piece to your dining room today!